First off, please enjoy the rare occasion where my car is actually clean. This is the cleanest it has been since the day I picked it up 3 weeks ago and I promise you, it won’t last. As stated above, I have now had the car exactly 3 weeks and I have already whacked nearly 2,000 miles on the clock and so far, I love it. The Discovery reminds me a lot of the old L322 Vogue but not as refined and the 2.7 V6 diesel pulls like a train and it is a lot more utilitarian inside with nice big chunky buttons and everything is within arms reach from the very comfortable driving seat. Usually when I pick up a new car, pretty much the first thing I do is collate a nice long shopping list of things I need to make the car feel a bit more like home. This is still the case for this one, however a lot of those parts will be long term purchases and mainly to improve it’s off-roadability. As far as living with car day to day, there is nothing I need to add to it. I have already purchased some roof bars for when I finally get my backside again and start taking my bike out. The main 4×4 parts I am thinking about are a raised air intake, front A-bar with spots and as soon as they need replacing, I am going to swap the Pirelli Scorpion Zeros for some Scorpion ATRs or similar. I’d also like a ladder on the tailgate to access the roof bars when they are on and possibly a winch if I really start getting it muddy more regularly. 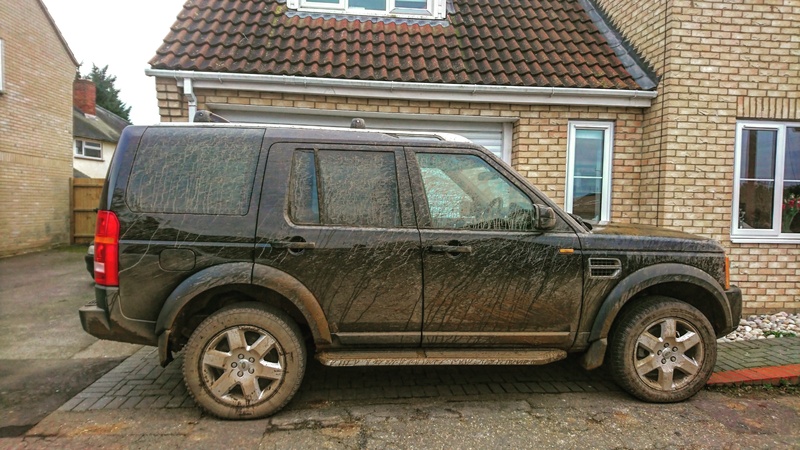 There will be a few more Land Rover based posts coming up in the next few weeks including the mentioned day with Land Rover at their East of England Off Road Centre, a drive and review of the new Range Rover Vogue and also a first impression of the brand spanking new Land Rover Discovery 5!